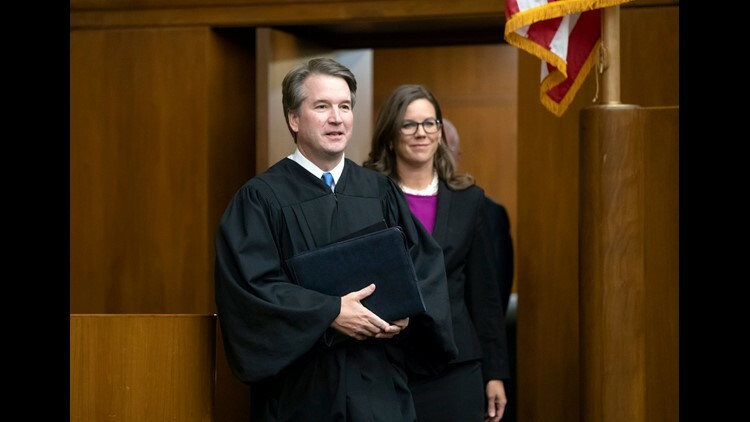 WASHINGTON – The Senate Judiciary Committee this weekend released more than 87,000 records from Brett Kavanaugh’s tenure in the George W. Bush White House. To date, more than 103,000 pages of materials from the Supreme Court nominee’s past work have been made public. They are part of a record million-plus pages of legal opinions and emails from his career as a federal judge, White House lawyer and assistant to the prosecutor who investigated President Bill Clinton. The sheer number of documents is at least five times more than the past two nominees to the high court to be confirmed, and Judiciary Committee Chairman Chuck Grassley, R-Iowa, has said it’s more than any high court nominee in history. Senators reviewed about 182,000 pages of documents on Neil Gorsuch and about 170,000 pages on Elena Kagan. Despite that, Democrats and Republicans still have battled over whether they should have access to more as they consider President Donald Trump’s nominee. Grassley announced Friday that the committee would begin confirmation hearings for Kavanaugh on Sept. 4, less than two months after Trump nominated him July 9 to replace retired justice Anthony Kennedy. Such timelines are standard for Supreme Court nominees, but Democrats have argued for more time to review his lengthy paper trail. Sen. Dianne Feinstein, D-Calif., accused Republicans of speeding his nomination through "before we know who Brett Kavanaugh is. But Grassley said there's "plenty of time" to review the materials. "It’s time for the American people to hear directly from Judge Kavanaugh," he said. The hearings are expected to last four days.